Google has started a Twitter Account. It may seem to be insane, as it has taken quite a long time for Google to open its account on Twitter which is at twitter.com/Google. Google + Twitter = Twoogling? Now there is a buzz around on Twitter is Google+Twitter=Twoogling now. Haha may be its right to say so :). Now you be wondering what might be the first message from Google. Well its a binary message [Check the screen shot above]. Which may be Roughly translated to : I’m F E E L I N G L U C K Y. Ahh thats a google sign. Now the interesting things to note here is, Google's entrance into Twitter is warm welcomed by its rivals Yahoo and Live Search. Which in turn is greeted with a thanks. Now how often you find such gestures among your rivals ;). other requirement : Should have the Potential to do street bargaining and fight if required. Age : 18-26 (if the individual is too good looking but not in the age group can also apply, special consideration will undertaken for them) Height, weight, complexions no bar, but is subjective. and to the size available with the shopkeeper. 3. Ex-girlfriends will be eligible only if they agree to the above-mentioned conditions. For girls who are not eligible, can take advantage of the referral. Program by referring their friend, colleagues etc. Candle light or Tube light dinner will be given on every referral, even if candidate is not selected. If you are on the web for a while then you might have been familiar with Search Engine Optimization/SEO process. Many people use the same old seo keyword tools which are free like Google's AdWords Keyword Tool, Wordtracker, etc which are mostly popular and familiar. Now if you are interested in trying out for some alternatives in this regard you can use Microsoft’s MSN Keyword Tool. Just enter keywords separated by semi-colons, such as: seo; sem; ppc. You get a graphical chart of keywords monthly history trend and impression count with prediction for the keywords. The demographics are also shown by both age and gender in the below graph. There is also a option provided to view the results in 3 different ways like Fancy view, Image view, Data view which is a different try and sounds good when compared with other tools. It provides the option to view the results in different formats for us. I got an unusual problem today when trying to log into my Twitter account with my user-id. Don't know what exactly happened with my account. Just waiting Twitter to resolve this issue and bring back my account. However, did anyone of you face such technical issues with twitter earlier?? Nine-year-old Lim Ding Wen from Singapore is completely different from most of the children of his age. This young prodigy who had ample command over six programming languages according to a BBC Report developed an finger painting program, known as called Doodle Kids, which racked up 4000 downloads from Apple's iTunes store in less than 2 weeks. His latest application, Doodle Kids which received a three-and-a-half star rating on the App Store allows users to draw pictures by using their fingers and clear the screen by shaking the iPhone. Its really Just cool !!. Isn't it. 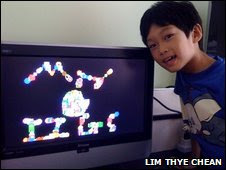 Lim, who first started using a PC when he was two-years-old, has since completed more than 20 programming projects as quoted in the BBC website. "I wrote the program for my younger sisters, who like to draw," said Lim. "But I am happy that people like it." Lim, who always enjoys reading books on programming, is in a process of creating another iPhone application called "Invader Wars". Lets wish him Good Luck !. Job Interview - Honest HR Question-Answers If we were to Honestly reply to all the HR Questions they would go something like this. I have to work for some company who ever gives me a job, I don`t have any specific company in mind. 4.What would you do if we hire you? 5.What is your biggest strength? 6.What is your biggest weakness? 7.What was your worst mistake, and how did you learn from it? 8. What accomplishments in your last position are you most proud of? 9.Describe a challenge you faced and how you overcame it? 10.Why did you leave/ are you leaving your last job? 11.What do you want from this job? 12.What are your career goals and how do you plan to achieve them? 13.Did you hear of our company and what do you know of us? 14.What is the salary expected and how do u justify that? Google has launched the Google Website Optimizer channel on Youtube where you can find useful videos like Always Be Testing webinar series with Bryan Eisenberg as well as some simple instructional videos like Setting up an A/B Experiment in 5 minutes. If you are keen to keep up with all updates of the new videos you can subscribe to the Website Optimizer Channel or add an iGoogle gadget to your homepage. Feb 14 has been a special day for everyone, as the Valentines Day is celebrated across the world on this day every year. As the day is approaching Twitter, famous Social Networking platform has come up with an Twitter app called Be my Valentwine which helps it users to find their Valentines on Twitter. This Service helps the Twitter fans to use it to calculate the compatibility between two persons who use twitter. It also helps to pick their favorite ones from the latest 100 people they have started following. In addition to these, the services enables you to send a anonymous tweet to anyone on Twitter who you want to be your Valentwine. This is Cool ;). isn't it. If you searching the with Google and obsessed for not finding the right information you are searching for there. What you gotta do next. Well relax ! nothing to worry, there are some alternatives too which helps you in finding the right information on web apart from the mighty Google. Pipl.com. If you are using a search engine such as Google or Yahoo to search for people it may work in some cases and in some cases it won't. Here pipl.com, The most comprehensive people search on the web helps you in finding yours lost relative, an old flame, a classmate or a business contact. Pipl's query-engine helps to find deeper web pages that cannot be found with regular search engines. If you are not convinced yet you may give it a try to know it better. snooth.com a search engine and community site for wine lovers helps to find deeper content by using topic specific search engines which are known as vertical-interest sites. SeamlessWeb is the fastest, easiest, and smartest way to order food online. It includes menus and restaurant reviews and help to Order food online from thousands of restaurants on your own personal account. Data Center of the China Internet (DCCI) on Feb 5 announced that advertising revenue through Search engines generated a high total of RMB 5.08 billion ($743.01 million) in China in 2008 which is up 86.2% YOY. The knock-on effect on the advertising market and the increase in search volumes is mainly boosted by the hosting of large events like Beijing Olympics. However the predictions for 2009 by DCCI is forecasted at RMB 8.49 billion ($1.24 billion) an increase of 67% while the figure for 2011 is at RMB 24.82 billion ($3.63 billion). Google Analytics on your iphone. Now you might be wondering Google might have launched this application. Hold on for a min Guys, its not Google. AnalyticsApp.com has launched an this application which helps to track yours Google Analytics details on yours iphone. The Analytics App is available on the iPhone AppStore for $5.99. But i am hopeful that Google may come up with Analytics App free which is it probably know for, launch of free products. This application gives access to yours Analytics data anytime. And now if you are looking buy this application click this link App Store. Whether you are in a meeting or sitting on a throne this app gives you a quick and easy access to yours google analytics data at your fingertips. This is Cool isn't ?. 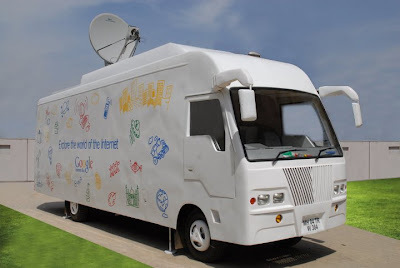 Google which is primarily popular in the Internet arena for its Search and also other Products like Orkut, Gmail, Maps, Youtube, Blogger, etc had come up with an Internet Bus Project which is an attempt to educate people about what the Internet is, through a custom-made Internet-enabled bus, which will travel across several towns and cities in India and explaining them how Internet may be beneficial to their lives. The bus which started its journey from Chennai on 03 Feb is expected to travel across different places in Tamilnadu before reaching to Tiruvannamalai on 13 Mar. 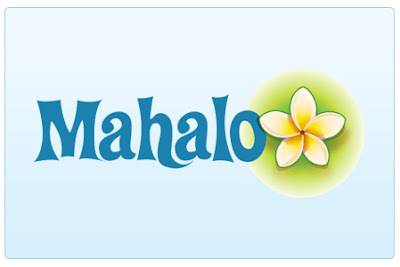 Try searching for the keyword "Google" on all the top 3 search engines. You will find some interesting results displayed which indicates that Google is explained better bby Yahoo and Live(Microsoft) when compared to Google itself. Here are those interesting screen shots results when typed "Google"
I was going through the third annual research pdf released by Bienalto to access the intake of Web Analytics by Australian business sector. The survey reveals some interesting challenges that the web analytics industry is faced with and the growth of analytics sector along with with the maturity of the industry in the adoption of analytics into the industry. 1) Number of organizations investing into the analytics tools by more than $10,000 has increased from 36% in 2007 to 44% in 2008. 2) Organisations who trust the data they receive from web analytics tools are increasing. 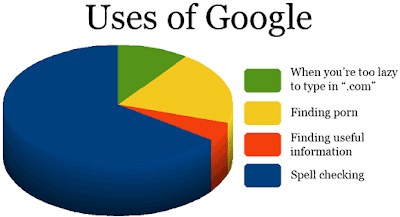 3) Google Analytics is used by 62.5% of organizations which is up from 52.9% in 2007. 5) Marketing departments are getting more involved with web analytics and in growing proportions taking full responsibility for it.